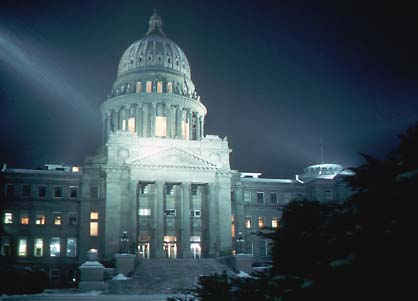 Boise in the southwest Idaho area known as Treasure Valley became territorial capital in 1865, and State Capital when Idaho was admitted to statehood in 1890. 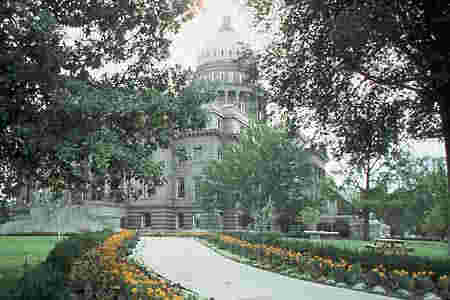 In 1905, the legislation created the Capitol Building Commission. Construction on the building was begun in 1905. 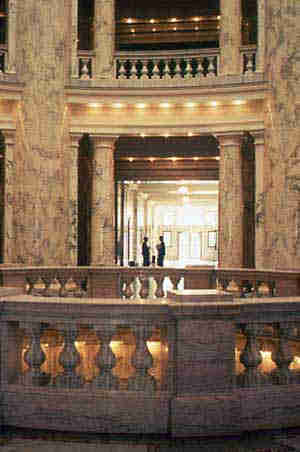 It is in standard neoclassic style, patterned after the U.S. Capitol. Construction, including the dome and wings, was completed in 1920. The building has a total of 201,720 square feet. The outside is faced in sandstone and much of the inside is finished in Georgia marble. 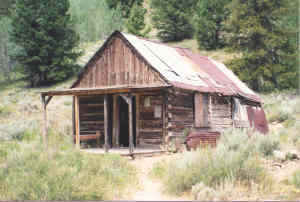 Although gold had been discovered as early as 1870 in the Jordan Creek area, it wasn't until 1875 that lode ores were found surrounding Jordan Creek and Yankee Fork. 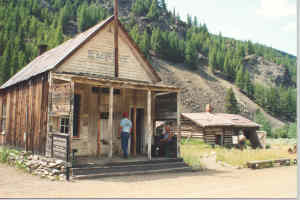 By 1896, Custer had a population of 600, and it became the new business and social center of Yankee Fork. By 1903, the glory days of mining were slipping away. Although the main mine had closed in 1888, many of the smaller mines continued to operate. 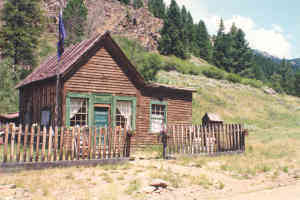 In 1966 Challis National Forest took ownership of the few remaining buildings, and in 1981, Custer was placed on the National Registry of Historical Places. If these walls could talk, what a lesson in history they could tell. WHERE HAS THE CHEVY BROUGHT US NOW? We're at CRATERS OF THE MOON NATIONAL MONUMENT. It was set aside in 1924 to preserve the unique volcanic features. The Monument protects 83 square miles of the field and preserves a stunning array of volcanic formations. 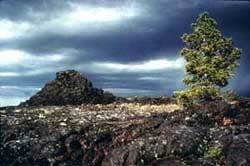 Craters of the Moon is, literally, an outdoor classroom. The Great Rift Zone erupted almost 15,000 years ago, and stopped erupting almost 2,000 years ago. However, scientists say there's a good chance it will "blow" again. 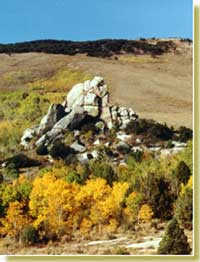 This is CITY OF ROCKS NATIONAL RESERVE.This area offers scenic walks (anyone want to get out of the Chevy and walk? No?) along the California Trail. 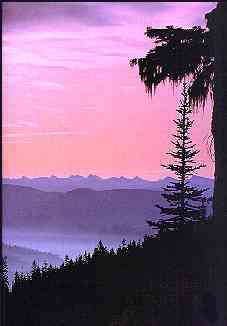 The reserve became part of the National Parks system in 1988. There are many opportunities here for photography, mountain biking, horseback riding, cross country skiing and snowmobiling, just to name a few. 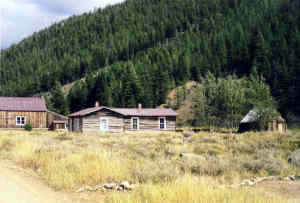 NEZ PERCE NATIONAL HISTORIC PARK with its valleys, prairies and plateaus, was home to thousands of Nez Perce people. 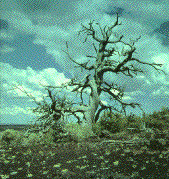 The area encompassing these sites displays the diversity of the American West. Boy, old Chevy is sure skipping around Idaho. Wonder where we'll wind up next? We've discovered the Chevy has a mind of its own when it's on cruise control. We never know where it will take us next. 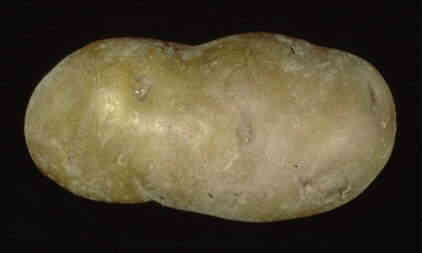 I rescued this Idaho baking potato from Joe's pantry. If you'll click on it, we'll see where we're headed.